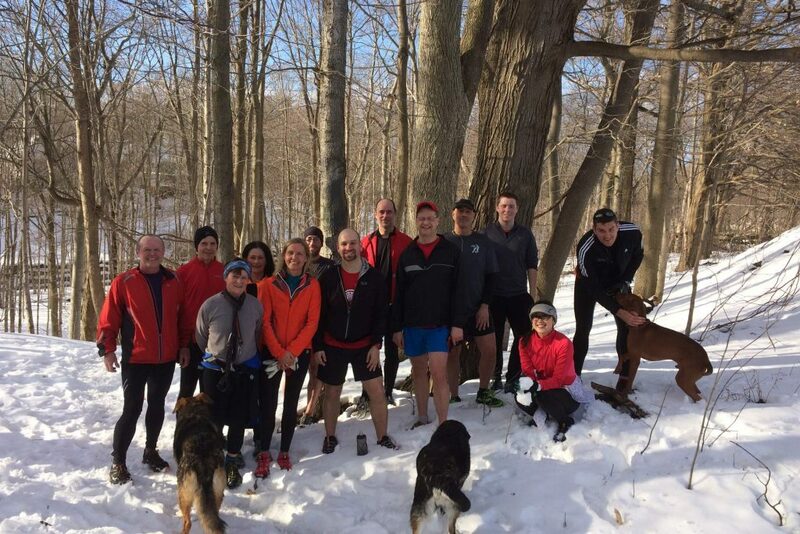 See the Weekly Group Activities page for info about the Saturday morning trail runs. The London area has an extensive series of hiking trails that are very popular with runners. Many are on land administered by the Upper Thames River Conservation Authority. Find information and maps on their website. Go down the page to Brochures/Factsheets. There are maps to download of trails in Fanshawe, Pittock and Wildwood Conservation areas as well as maps of trails in Environmentally Significant Areas – Warbler Woods, Kains Woods, Kilally Meadows, Medway Valley, Meadowlilly and Westminster Ponds. In addition, the Thames Valley Trails Association has information on their website. See more Spring/Summer trail photos from some London Pacer trail runs.